Their addition brings an end to an almost twelve-year long campaign led by Naturewatch Foundation to boycott The Body Shop while they were under the ownership of L’Oréal. In late 2017, The Body Shop was acquired by Brazilian cosmetics company, Natura, who were able to demonstrate that they meet our strict requirements for a cruelty-free company. We have now not only called off our boycott, but are endorsing The Body Shop and Aesop - both great cruelty-free brands owned by Natura. “We are absolutely delighted to have The Body Shop, Aesop and Natura join our list of cruelty-free brands in The Compassionate Shopping Guide. 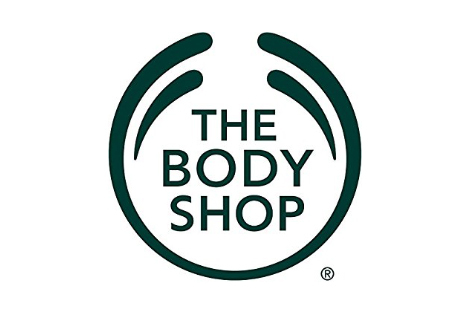 This brings our supporters full circle with our campaign, and they can feel confident shopping at The Body Shop once again.” Caroline Ruane, CEO of Naturewatch Foundation. There are several cruelty-free accreditation and endorsement schemes around the world, all with various definitions of what ‘cruelty-free’ means to them. Because there is no global, legal, definition for this term, it is up to companies and independent scheme operators to determine. At Naturewatch Foundation we take great pride in operating the strictest cruelty-free endorsement scheme in the world. This means we consider not only the animal testing policy of cosmetic and household product brands, but their parent company policy too. Every company within the chain must operate to a Fixed Cut-Off Date policy: the gold standard of animal testing policies. As an animal welfare organisation, first and foremost, our duty is to protect animals from harm. This is why we do not compromise on our endorsement criteria. If there is any risk of a cosmetic or household brand’s profits serving animal testing via a cruel parent company or their ingredient suppliers, we will not endorse them. No exceptions. We also believe it shouldn’t be up to compassionate shoppers to memorise the detailed policies of every brand on the market. That’s why we’ve done the hard work for you. Our Compassionate Shopping Guide is not only the strictest, but the first of its kind. First published in 1993, today it lists almost 200 brands that are genuinely cruelty-free from top to bottom. Congratulations Natura, Aesop and The Body Shop! Get a copy of the Compassionate Shopping Guide and use your consumer power to end animal testing.